“Contrary to popular belief, working alone is not against the law. However, the law does require employers to consider carefully any health and safety risks for people working alone. “The UK’s Corporate Manslaughter and Homicide Act, makes employers responsible for the health, safety and welfare at work of all their employees. It also makes them responsible for the health and safety of any contractors or self-employed people doing work for them. “Of course, employees who work alone can often face the same hazards in their day as other workers, however, for lone workers, the risk of harm is often greater. Additional hazards facing lone workers can include: violence, lifting and handling, working at height, ill health issues or lack of access to emergency help in the case of an accident. “So how can employers reduce the risk of incident and help keep their lone workers free from harm? “Firstly, think about the worst case scenarios and their probability during a normal day. There’s no point worrying too much about your staff member being hit by a meteorite as it is highly unlikely to happen. Instead, think about how to avoid them being involved in a confrontation with a thief or being alone in a risky area. “Next, remove as many risky procedures and situations as possible. For example, don’t send lone workers to a perceived dangerous location and make sure they take a safe route and lock doors while travelling. “Train individuals to reduce risk, by looking at safer working practices, wearing personal protective equipment and the proper way to deal with complaints and potentially volatile customers. Consider bringing in third parties to train individuals in specialist areas such as working with the public and identifying when situations can turn bad. “If an employee does find themselves in trouble, employers need to consider how they are equipped to summon help. Implementing regular check calls to a central location is a popular solution. If a call doesn’t come in, there should be an immediate response to find out what’s wrong. “Alarm devices can also be useful. These can be used by the lone worker to send an alarm if an incident occurs, but may not necessarily provide location information. The response would usually be a call to the user to check if help is needed. “Of course, there are more intelligent devices available too. With such, when an alarm is sent – either by a panic button, man down or non-movement – the location is also transmitted, so a monitoring station can summon the appropriate response. That could be via a line manager, a relative, the emergency services or a mobile response service. “In extreme cases, devices are available that utilise GPRS, GSM, SMS, GPS, satellite, Wi-Fi and a number of other technologies to ensure accurate alarms get through – even in mountains or at sea. 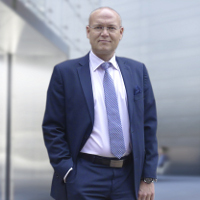 Brian Riis Nielsen joined Securitas as Country President in early 2014. Previously, he had worked for seven years in the same role for the Danish arm of the company. Under his guardianship the business experienced 30% growth, doubling its market share and establishing itself as leader in the Danish security services market. Brian is now tasked with growing the UK market from its current position of strength, with an initial focus on ensuring a sound process management system for Securitas UK and embedding innovation and advanced technologies into the business. Brian has several degrees, including Business Administration from Odense University in Denmark. He has a keen interest in football and was proud to be part of the Danish National under 16s team in his youth.